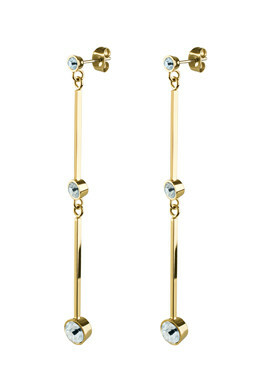 Elongated statement earrings created with graded crystals from Swarovski. Great both for evening- or day wear. Shown here in gold toned finish and light green crystals from Swarovski.